Last summer I wrote this post which quickly became my most popular one to day. With webpack 2 and 3 it got outdated, so I decided to write a new one. This is detailed step-by-step guide, as I’ll try to explain the whole process. If you just want code to play with, check this repository I created for this tutorial. Every time I talk about changing a source file, I’ll paste complete file’s content beneath it. You can look for ADDED IN THIS STEP comments which point out specific things that changed. Please note that this tutorial is written on macOS using node 8.5.0, but it should work on Linux and Windows without any major issues. If you find something that is not working, please provide a correction in the comments. Simple development setup for React applications using Webpack and Babel. But my main goal is for people to better understand these tools and how to use them. Setup that we are going to create is minimal, but it follows the best practices and gives you a solid ground to start from. Well, I’m a principle developer at Work&Co. I have a lot of experience on production level React projects, for clients like Twitter, Mastercard, Aeromexico, Hampton Creek… Marvin boilerplate1 is my creation as well, and what I’m trying to teach you is directly based on my experience on these projects. 1 We have big plans for Marvin in the near future. Of course you can replace “webpack-babel-react-revisited” with your project name. Then we need some modules. We’ll keep our source files in src folder, so we need to create it. Then create js folder in the src folder you just created, and app.js file in it. connecting them together while keeping them in separate scopes. At this point we are not leveraging that (yet). This command runs webpack using our app.js as entry and outputs the result to the dist folder. As it already looks complicated we’ll start moving webpack configuration to a file. 2 Plus paths contstant. I like to keep paths in the constant object, as it makes things easier to read. You’ll see that we added our app.js as entry and for the output we selected dist folder and app.bundle.js as the filename. Now we can run webpack without inline configuration. By default webpack looks for webpack.config.js and reads config from it. This command has the exact same result as the first one. Now let’s try to make it even nicer. We’ll add script section. In this sections, let’s add build task with only one command - webpack. Npm tasks allow us not to type full path to the package binary every time. It searches for locally installed packages in the project’s node_modules folder. Again, it has the same result like the previous command, but it is cleaner as it uses npm tasks instead of bare terminal commands. Now we have our simple build process, so we can proceed with development setup. To be able to open our application in a browser, we’ll need a server. Webpack already provides us with a dev server. It will server our files during development (obviosly), but also enable us to use hot module reload (not covered by this post). Let’s update package.json right away to make it easier to run dev server. We added only one line: "dev": "webpack-dev-server",. it will fire up our development server, and it is going to be available at http://localhost:8080. Now it will just list our project’s files. and update webpack.config.js to use src as a content base. Every time you change webpack config you need to restart webpack (or webpack dev server). We don’t need contentBase: paths.SRC anymore as it will be handled by html plugin. So we’ll remove whole devServer configuration object for now. // index.html is used as a template in which it'll inject bundled app. This will tell Babel to use two presets we just installed. Now we need to update webpack.config.js to use Babel loader for .jsand .jsx files. We also added some sugar, so you can import those files without specifying file extension. This is probably the main reason you are reading this, so I’ll assume you are already familiar with React. Let’s add div with id app to index.html, in which we’ll render our React app. Finally replace console.log in our app.js with a real React component. Restart dev server one more time, and voala, we have our React app running! At this point, you have bare bones setup for making React apps using Webpack and Babel. You can start exploring on your own, add more stuff and modify it to fit your needs. However in this post I’ll cover two more things - CSS and assets loaders. Every web application needs CSS. So let’s add a way of getting CSS into ours. Create src/css folder and a simple style.css in it. To add this CSS file to the app, we’ll use css-loader. CSS loader needs to write loaded CSS code to either style tag in the head or external stylesheet file. If you want to write it to the style tag you should use style-loader. But for now, we’ll extract it to the external file by using extract-text-webpack-plugin. HTML webpack plugin, that we already set, will add css file to index.html for us. This might seem very complicated to get one CSS file to the page, but it is very useful when you have multiple stylesheet files and pre-processing (or post-processing). Restart npm run dev, and you’ll see that five lines of our beautiful CSS are applied on the page. And if we run npm run build you’ll see style.bundle.css4 created in the dist folder, next to js and html files. 4 I use .bundle postfix so you can easier differentiate webpack bundles from the source files. For the end, we’ll add file-loader. As it’s name suggests it handles files - images, SVGs, fonts, videos or anything else you need. 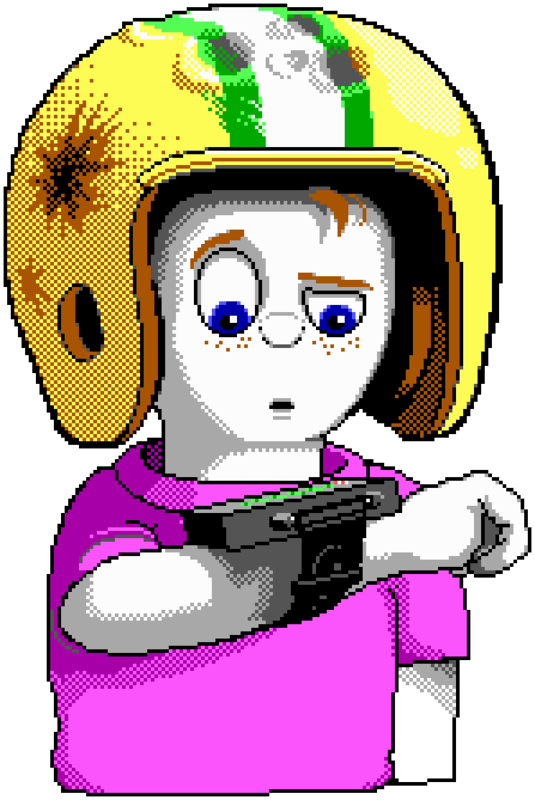 Let’s create /src/assets/ folder and add Commander Keen5 image in it. 5 I still love Commander Keen games. Restart npm run dev and refresh the browser to see the image. npm run build will create image in the dist folder. Hopefully, you now understand webpack better and are able to create new apps from scratch. If you enjoyed this tutorial, please share it, and help me improving it by pointing out things that are not clear enough or could be written better. Complete code is available in this repository. Don’t worry, I will cover more in posts to come. But it might take a while, as creating a meaningful tutorial is really time consuming. So please, bear with me. This new tutorial series is closely related to Marvin’s future. So there will posts about development of Marvin and setting up React applications using React. React router, redux, hot module reload, thunks, sagas, SASS, PostCSS, universal rendering are some of the themes that I want to write about.